My work at the Museum to energise a veteran war Radar Outfit is coming to fruition. Stu and I asked for this project and had firm ideas of how to take it forward. Similar to most projects, the way ahead snaked more than a little. The budget however held true – we spent just a few euros and provided some materials from our own sheds. The free but broken washing machine from the ecoparc (dump) was the biggest contributor. The Museum workshop is a great facility and centre for banter (when not in the local cafe). I forgot to take a picture of Jersey John at the workbench using a gas flame to help me with a paddle board problem. Little jobs that need extra technique or muscle can be done after the weeks work is completed. After a paddleboard session on the beach a week ago I rushed back home without dismantling my two piece paddle. I’ve not been able to separate the half’s since the seawater dried in the aluminium join. Twisting and hammering didn’t work, and a new paddle became a possibility as carriage is awkward with a six foot plus pole. The ex army/navy guys in the workshop tried a few things before quick success with the flame. A bonus was finding that the two piece-paddle I’ve been using for three years is actually a three-piece! I’d never noticed the extending third pole inside the handle end. The Radar – real reason to spend time in Cartagena – worked well with the on/off micro switch activated by a washing line wooden peg fixed to the modified washing machine programmer, happy chaps now, Stu and I celebrated a satisfying workday in the traditional manner, chips and Cerveza at Vicky’s on the way back to Puerto Mazarron. The third task this week is the ongoing work to get Stu’s ATV back on the road. The record of work progressed (or not, as lately) is a separate post, and on it I’m really enjoying the challenge of learning about the machine and applying what I hope is logical fault finding to get this motor roaring up and down the Rambla again. Bearings, bushes, clutches – it’s BBC so far. Previous postAll Terrain Vehicle (ATV) – CF Moto – Driving me nuts! 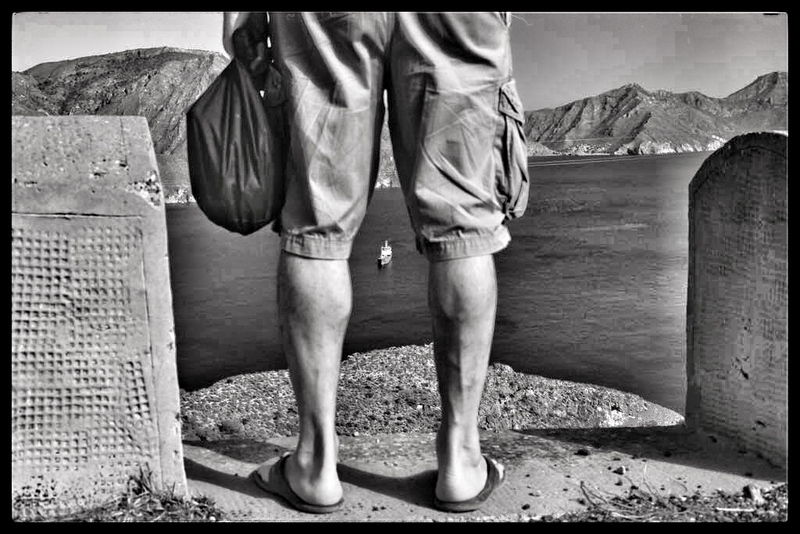 Next postMazarron stroll, Cycle La Cuesta and ‘Pump-up The Volume’. Vienes incluido en el coche? Eddie and Irina – Return visit after Torrox.